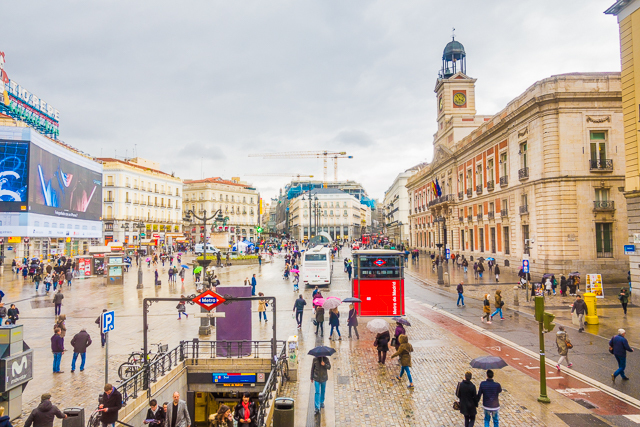 Where to eat in Madrid Spain - the best paella, churros and chocolate, and tapas. Some hidden gems that you must add to you list! 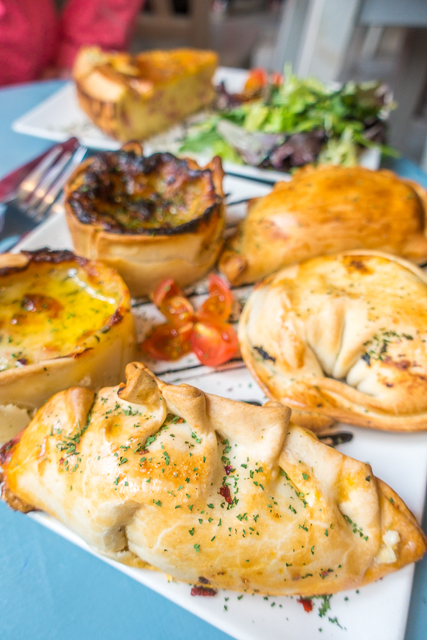 My favorite thing about Madrid was the FOOD! We ate so much delicious food. 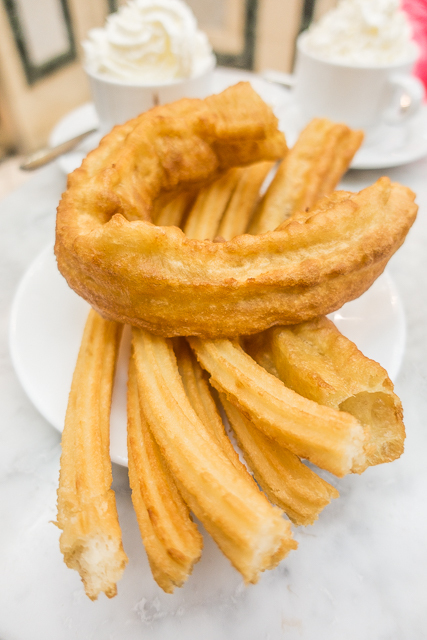 We continued our churros and chocolate streak and ate some of the most amazing tapas EVER! 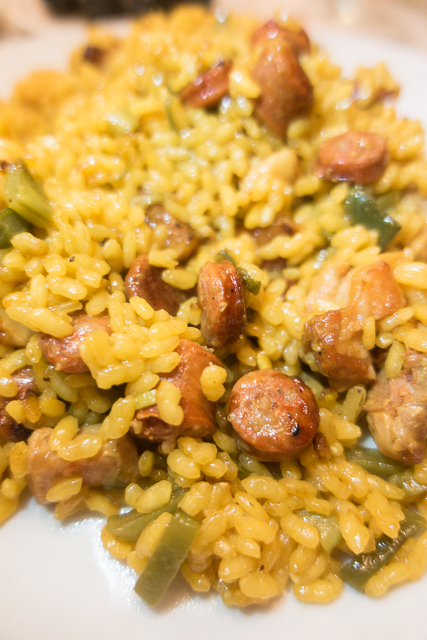 We made sure to have some croquettes and paella too! It was all for the blog! LOL! It was a good thing that I brought my stretchy pants for the plane ride home. 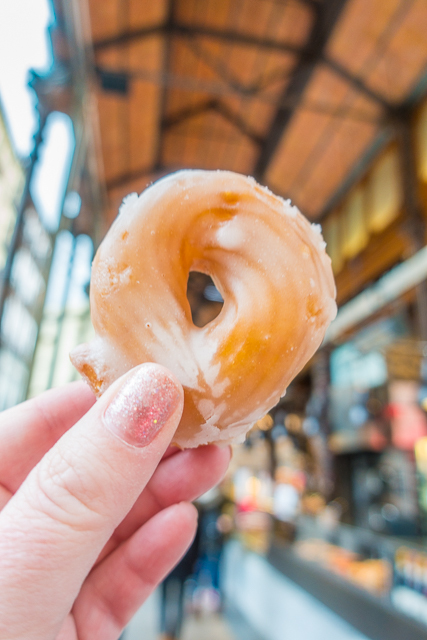 Keep reading to see everything we ate in Madrid! 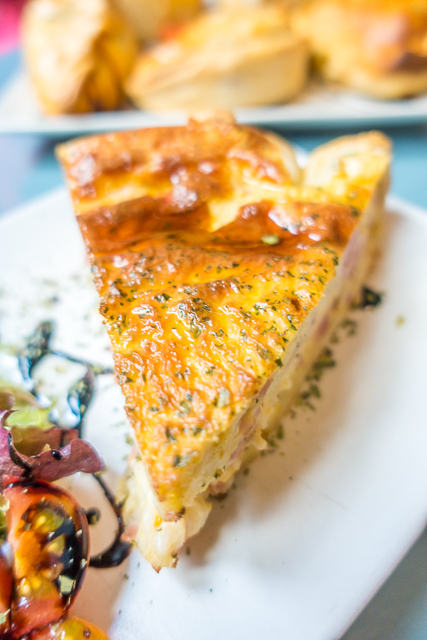 Our first meal in Madrid was at La Barraca. It was recommended by the staff at our hotel (NH Collection Paseo Del Prado). 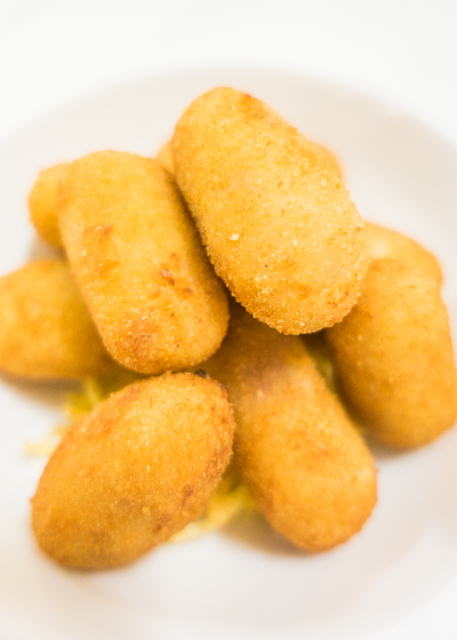 We started off with some ham croquettes. They were crispy on the outside and creamy on the inside. La Barraca was a "fancy" place and probably the most expensive place we ate on the whole trip. The paella portions are very large. We could have easily split one portion, but there was a 2 person minimum. Also, they bring bread and olives to the table before the meal. They charge you for this, so if you don't want it make sure to tell them. We didn't realize that we were being charged for it and we didn't eat it. 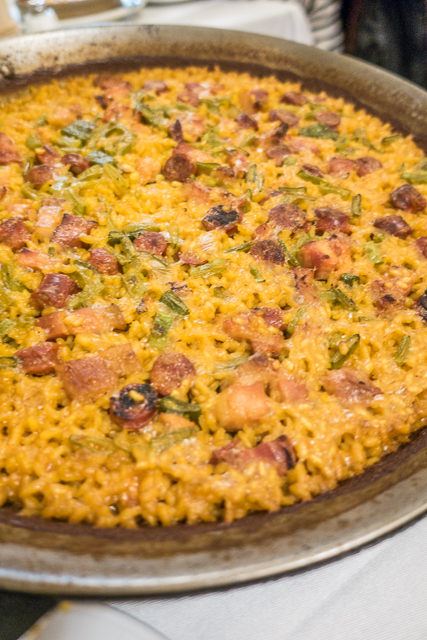 Overall, it was the best paella we ate on the trip! 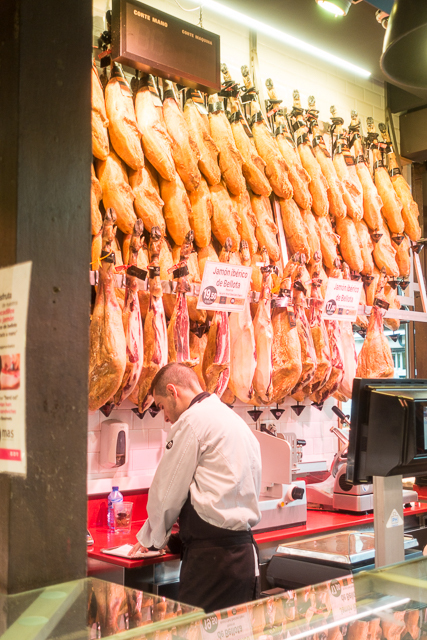 The San Miguel Food Market was hands-down our favorite place in Madrid. We ate here several times! 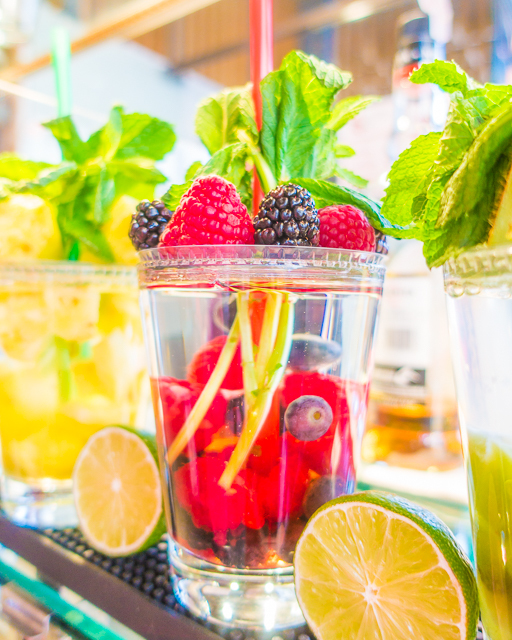 LOVED all the fun fruit waters. They were not only delicious, they were SO pretty!!! Look at all those ham legs! We sampled lots of different things. The glazed churros were delicious! 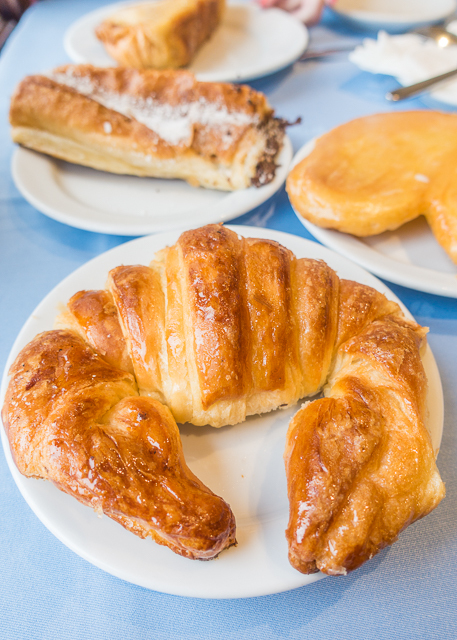 The croissants in Spain were surprisingly good!! 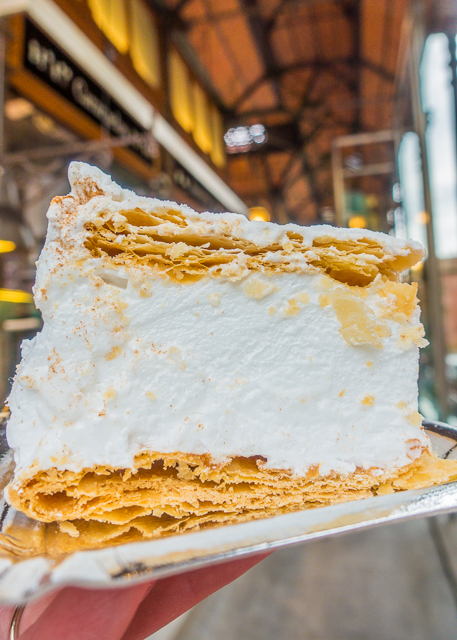 Look at this meringue!!!! OMG!!!! 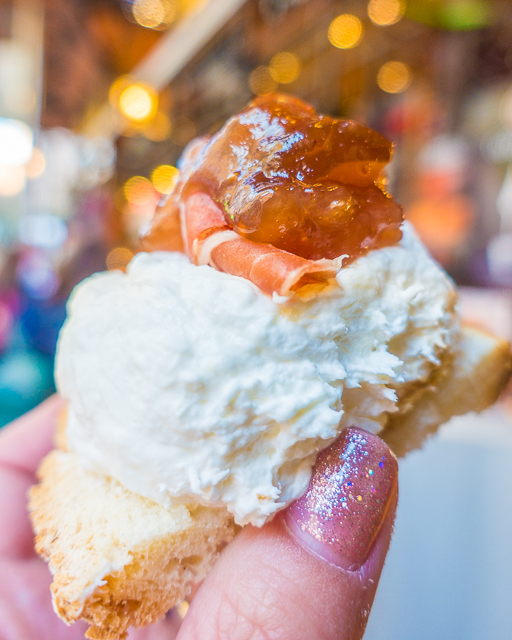 This burrata with ham and fig was EVERYTHING!!! 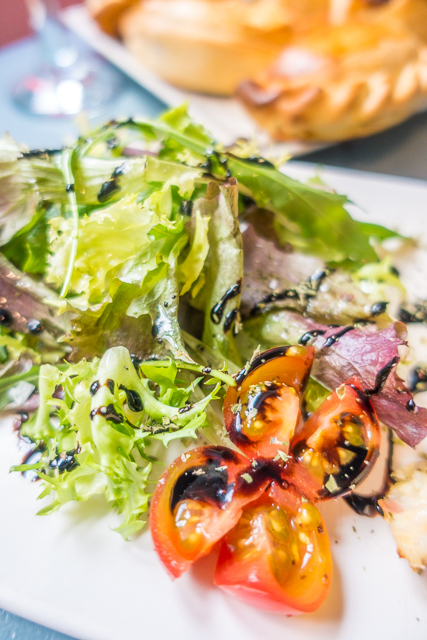 As was this burrata with tomato and balsamic! 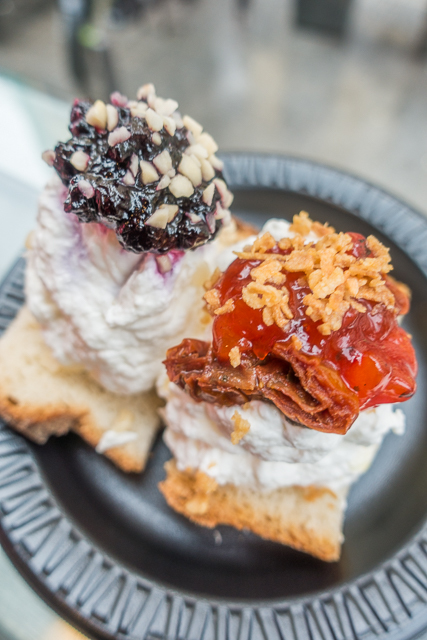 LOOK at that burrata - seriously amazing! 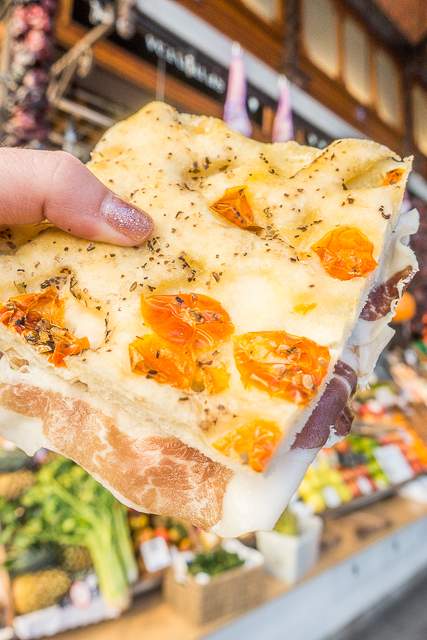 We had to try a ham sandwich on focaccia. 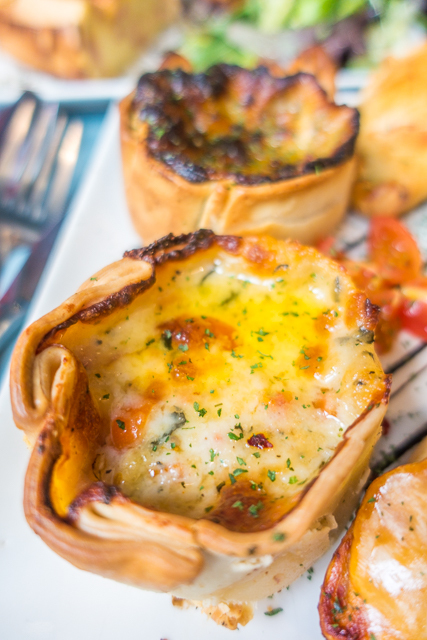 The tiny pizzas were GREAT! 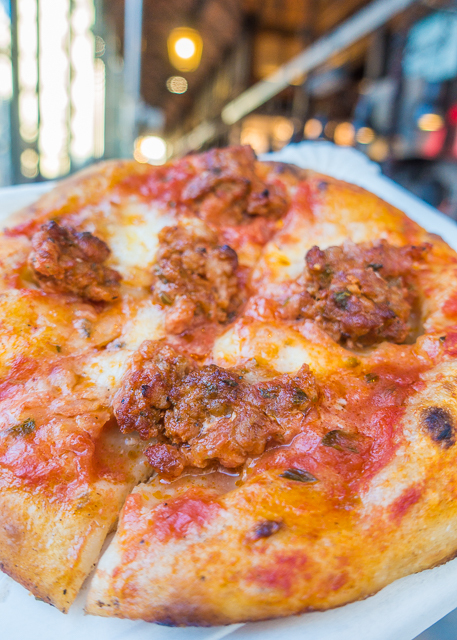 I LOVED this one with chorizo on top. 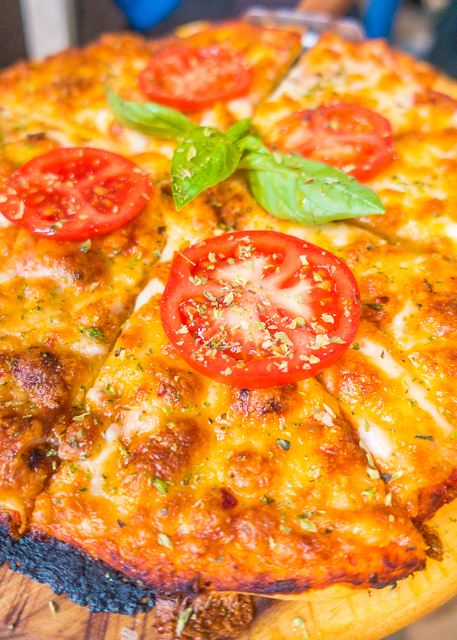 The all cheese pizza was delicious as well. We had to get more burrata - blueberry and tomatoes. You MUST get this when you are in Madrid!!! 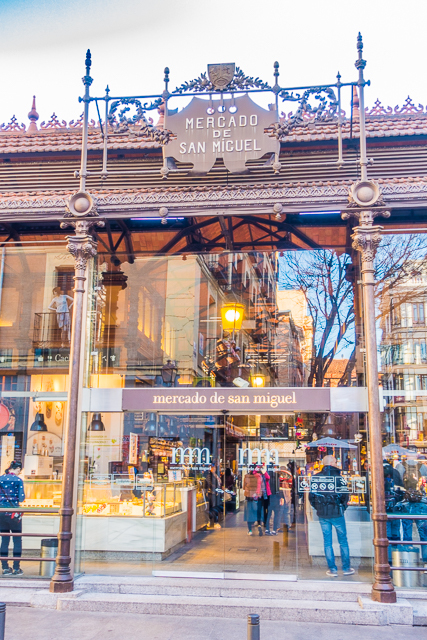 Mercado de San Miguel was my favorite place in all of Madrid. The locals don't like it because it is too touristy and expensive. We thought it was wonderful and inexpensive. I guess it is all just depends on your perspective. 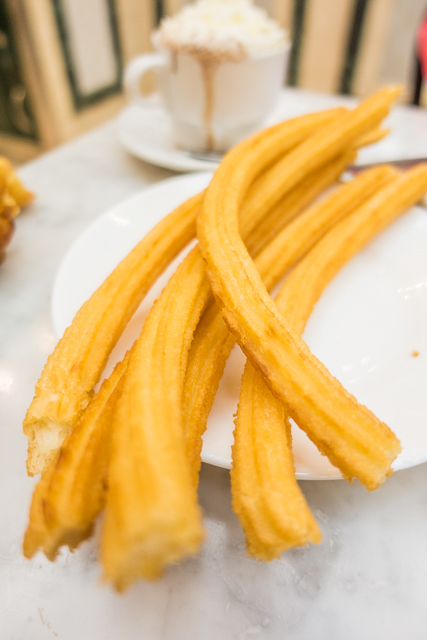 We found a churro and chocolate place right next to Mercado de San Miguel. It was delicious! 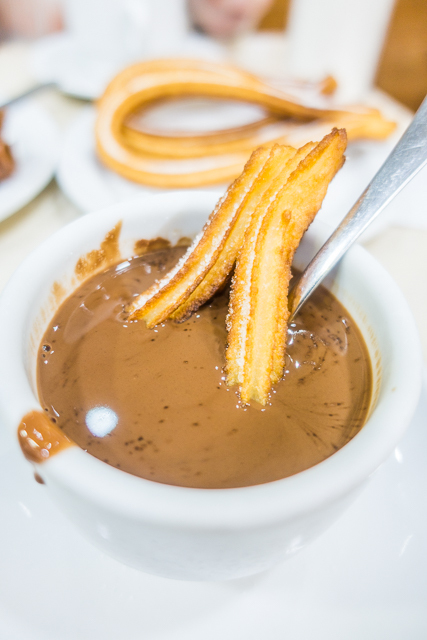 Churros and chocolate need to be a thing in the US. 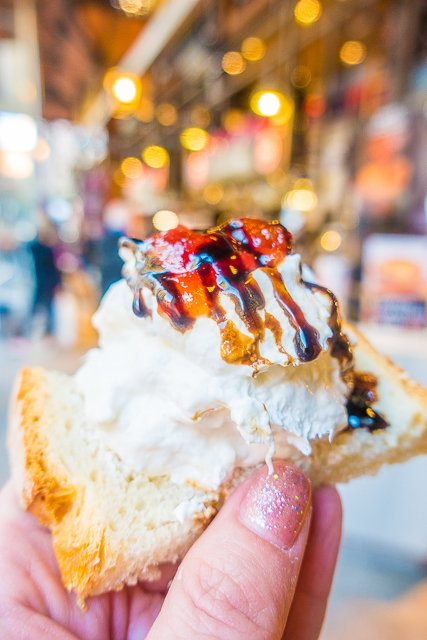 We took a walking tour with Unique Tours Factory and it turned into a foodie tour after our guide found out what we did for a living. He told us about all of the great places to eat. 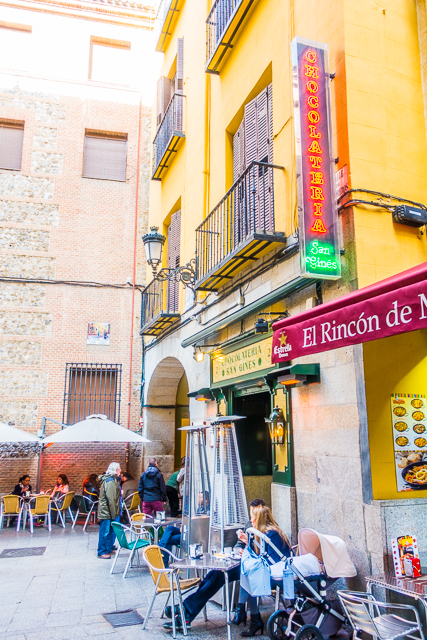 La Mallorquina was one of the places he recommended. 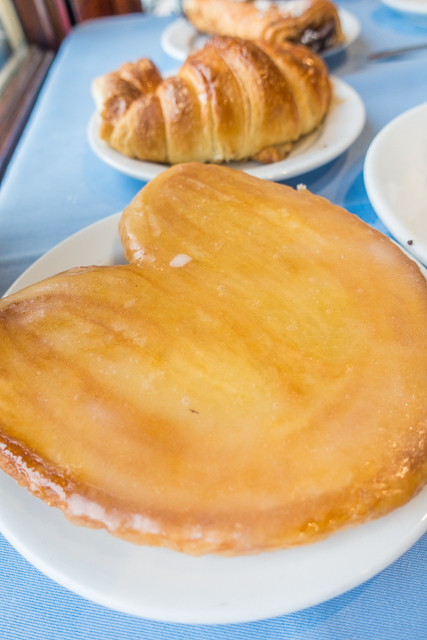 It is one of the "famous" places to get pastries in Madrid. 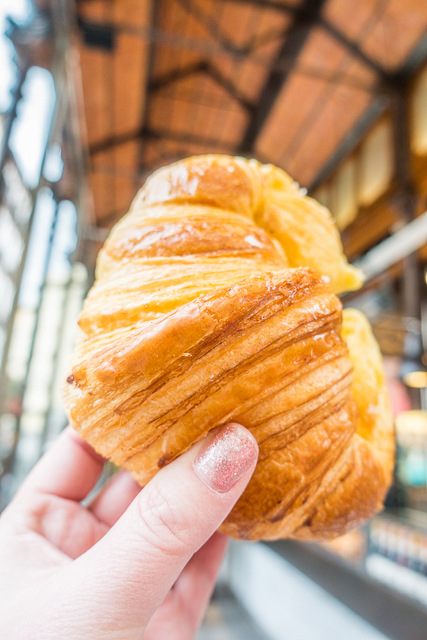 We started with the croissant. It was nice and crispy! It kind of looks like a snake. The Chocolate Bolleria was recommended by our tour guide. The Glazed Palmera was good too! 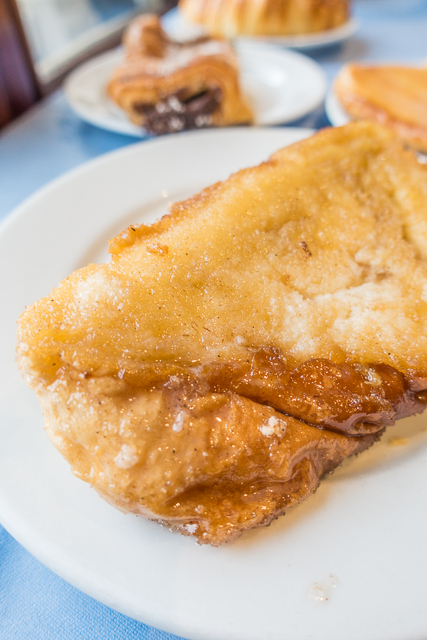 We were excited to try the Easter speciality Torrijas. It was like cold french toast. I'm going to be honest, it wasn't our favorite. BUT we were really glad we got to try it since it isn't around all year. We got lucky and got a table upstairs with a view! You can order treats to go downstairs if you don't want to sit down and eat. 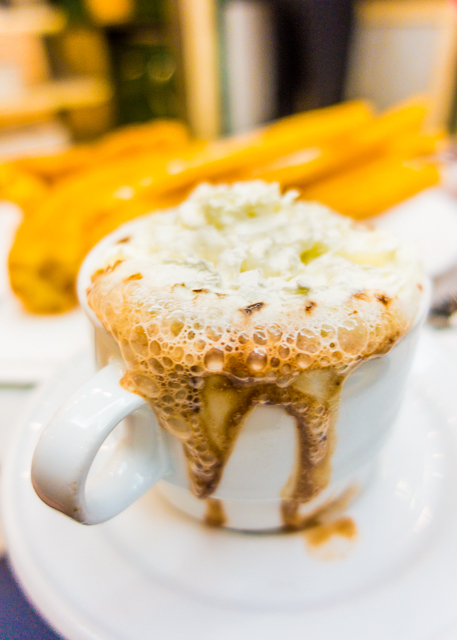 Chocolatería Los Artesanos 1902 was another recommendation from our tour guide. 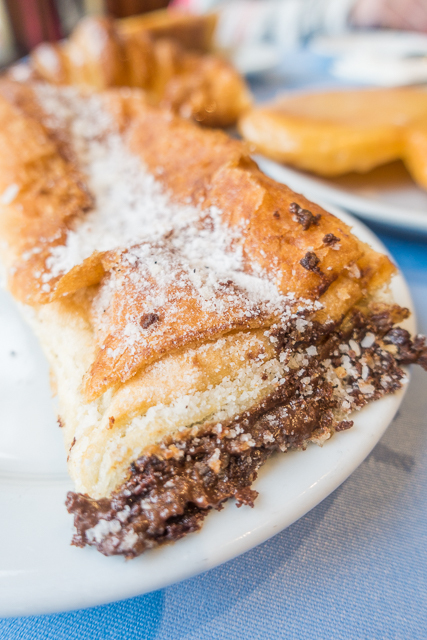 It is right down from the most famous churro place and the wait is much better at 1902. We walked in and got a table! I really, really love churros and chocolate!! 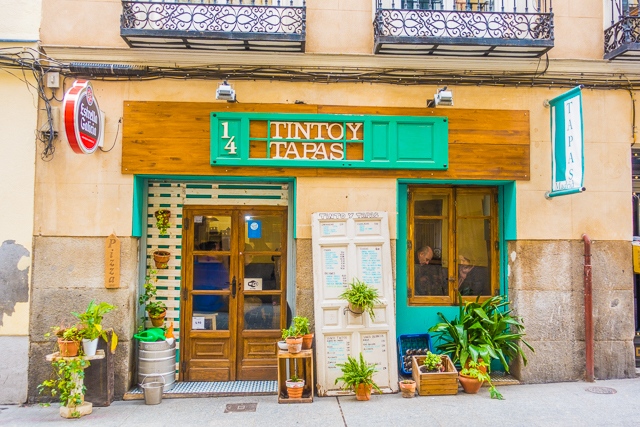 Tinto y Tapas was our BEST find in Madrid! This tiny restaurant is right next to the living wall that I showed you last week. 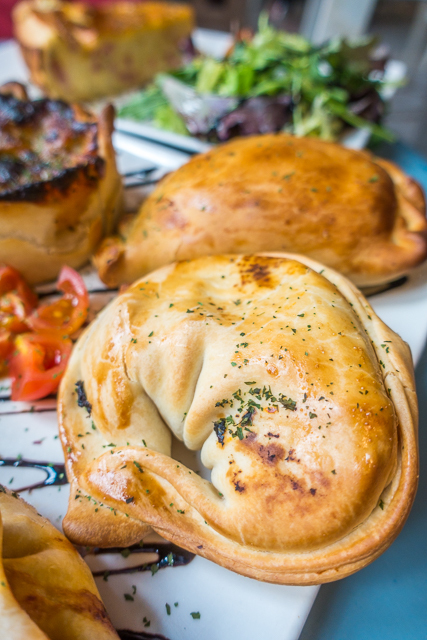 It is super tiny - get there early and prepare to wait for a table! It is 1000% worth the wait! We got there right when they opened and got a table next to the window (the window on the right). They brought us some potato chips. 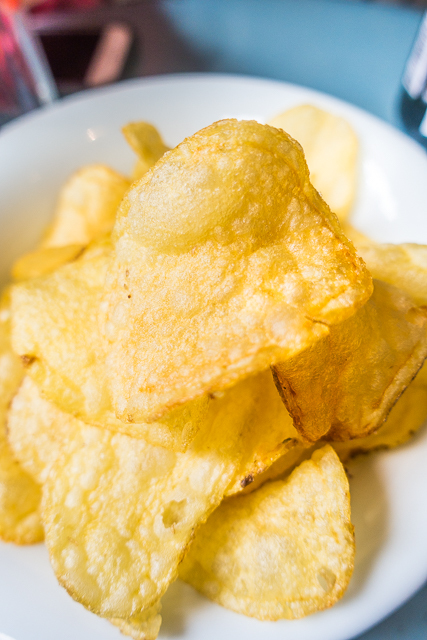 Potato chips are a thing in Madrid. Our tour guide was telling us all about it! Potato chips are everywhere in Madrid. I was glad we got to try some with our meal. 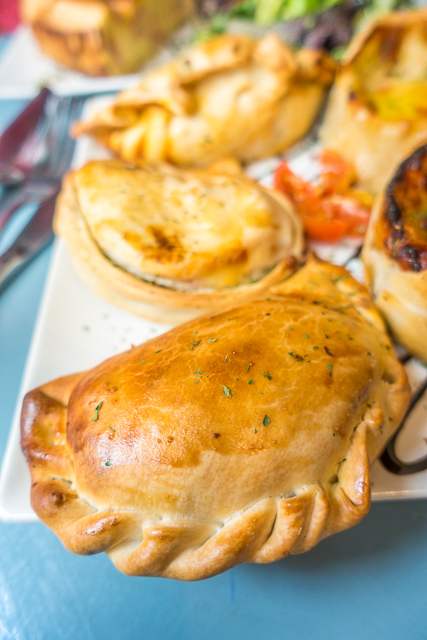 We ordered one of every empanada they had on the menu that day. 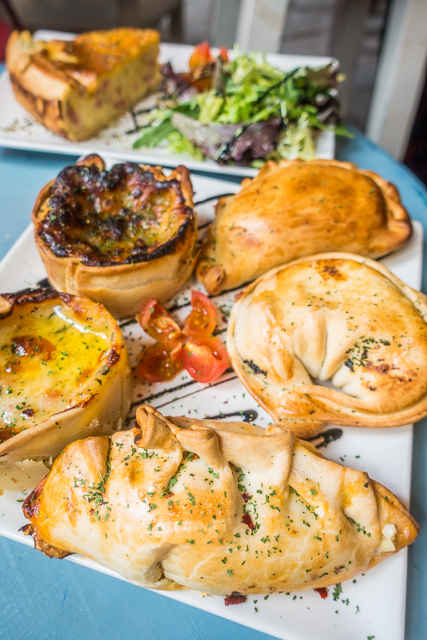 We also ordered the quiche of the day - it was ham and cheese. 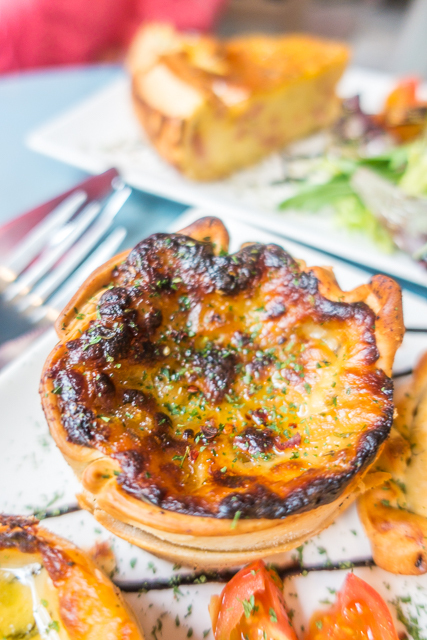 LOVED the little salad that came with the quiche. Since we are awesome food bloggers, we HAD to get the pizza too! Our waitress was worried that we were getting too much food, but we assured her we knew what we were doing! LOL! 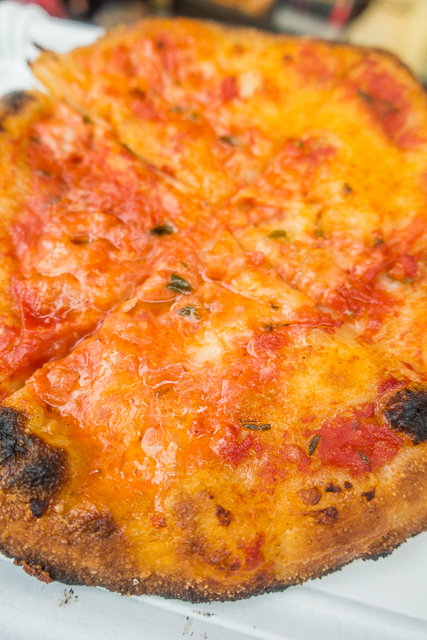 We got the Margherita Pizza and it was delicious! We almost finished the whole thing! 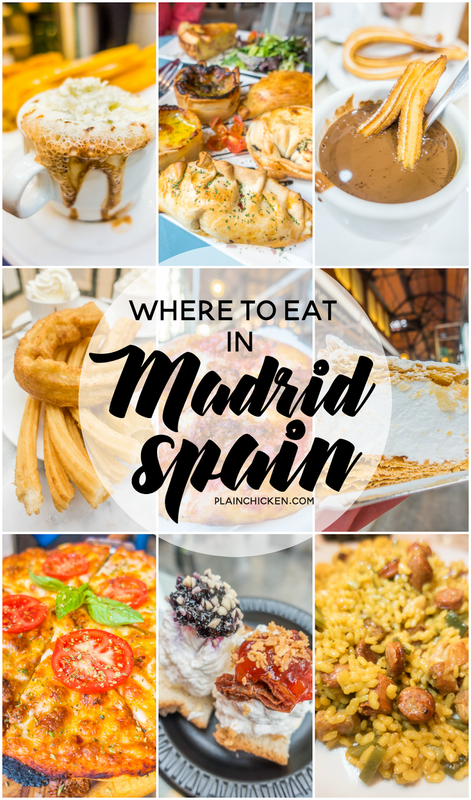 If you only go to one restaurant in Madrid, go here! We got all this food for under 30€. 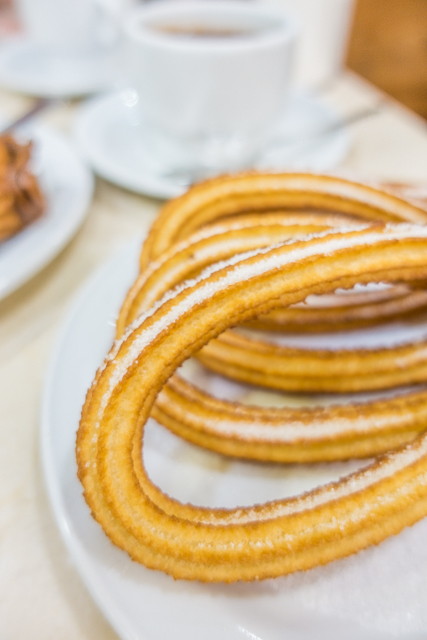 San Ginés Chocolate is "THE PLACE" to get churros in Madrid according to the internet. The line is LONG. Depending on when you go it can be really, really long! We were skeptical that the churros were worth the wait. 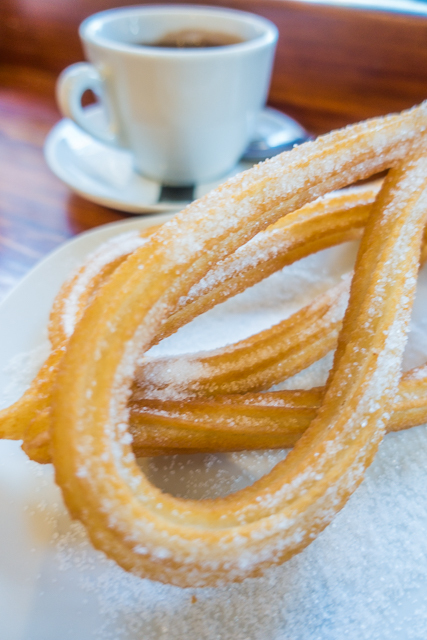 We asked our tour guide where to get the best churros and he said San Ginés Chocolate was the best. He said we had to go. If a local tells you to go, you have to go. We stopped by after our HUGE lunch at Tinto y Tapas. As luck would have it, there was barely a line. It took less than 10 minutes to order, get a seat and get our churros. We got churros and porras. The porras were recommended by the tour guide. 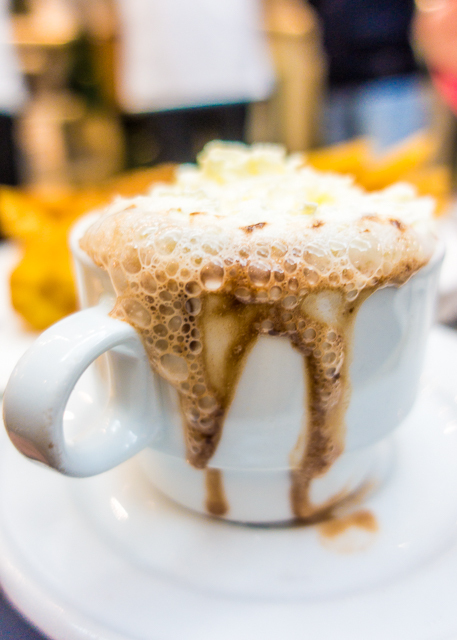 We also got chocolate with whipped cream!!! San Ginés Chocolate was actually the best chocolate and churros we ate in Madrid. It is open 24 hours, so you can definitely find a time to go. The line moves quickly. They don't let you sit down before you have ordered. There is seating inside and outside.